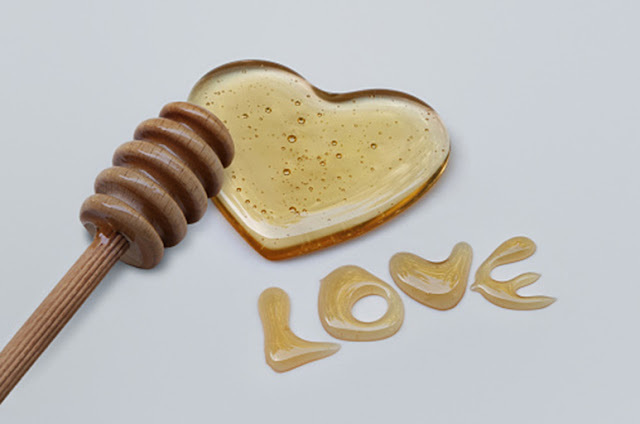 There are 300+ varieties of honey in the US! Add a little sweetness to your life this month! What is your favorite way to add honey to your food? 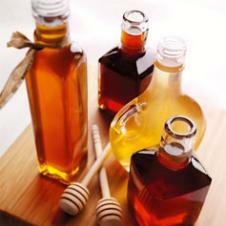 You can use honey in meat marinades, candy recipes, baked goods or simply on your toast in the morning. Honey enhances browning, adds a beautiful golden color, retains moisture and enhances flavor in the things you eat. Did you know there are more than 300 types of honey available in the United States? Each floral source (like clover or orange blossom) has its own unique color and flavor. In general, the lighter the honey, the milder the flavor. Darker honeys like buckwheat have a stronger flavor. Honey is a natural sweetener, and it's unique taste and blend of trace enzymes, minerals, vitamins and amino acids make it a beneficial substitute to sugar. You can substitute honey in recipes by reducing the liquids of your recipe in to half of what the recipe calls for, you then reduce the heat by twenty-five degrees. When you substitute the sugar with honey, use half the amount of sugar the recipe calls for. Our challenge for you this month is to try a recipe with honey! Ask your mom or dad for help. For Valentine's Day, try these Easy Honey Nut Valentine's Day Cookies (Gluten-Free) or Peanut Butter & Honey Rice Krispie snacks. And for President's Day, try a presidential favorite! President Obama loved this apple pie recipe made with local honey, and President Bush loved eating peanut butter and honey sandwiches for lunch. Check out www.honey.com for more recipes, and comment on our Facebook page with your favorite honey recipe!